We would like to welcome Tripti Kedia to our team! 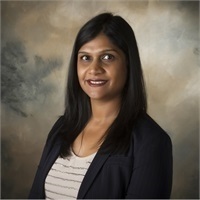 Tripti Kedia, CPA has been in financial services industry for over 10 years with experience in Public Accounting, Wealth Management and Investment Banking across New Delhi (India), London (UK), New York and Kentucky. She is a Certified Public Accountant and holds Series 7 and 66 registrations. She received her Masters Degree in Business Administration with concentration in Finance from IIT Roorkee, India. She started her career in New Delhi in Wealth Management helping high net worth Individuals and institutional investors with their Investment needs. Her experience also includes working in investment banking industry in New Delhi & London. She is currently a practicing tax accountant and has worked in New York as a tax accountant before moving to Kentucky in 2013. She is a member of KYCPA and AICPA. Tripti works primarily in our Richmond office. Tripti, her husband Saurabh and daughter Aanya reside in Lexington, KY.